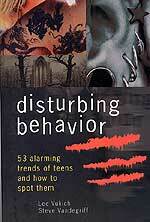 There is something going on among our teenagers and it's alarming! Their behavior is becoming more troubling than most of us are willing to admit. We tell our students," the authors continue, "that it is always cheaper to build a fence at the top of a cliff, than a hospital at the bottom." 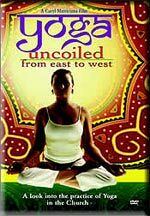 Does YOUR church hold any Yoga classes? 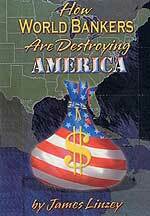 How World Bankers Are Destroying AMERICA! 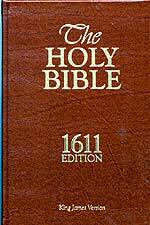 This reprint represents the original 1611 text word for word, faithfully reproducing an 1833 Oxford edition, with readable type and attractive woodcuts. The text includes the translator's marginal notes, plus a special essay on early English translations. 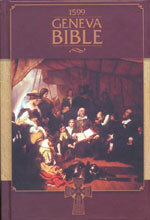 1,536 pages, Genuine Leather, with elegant binding perfect for collectors and for everyone who cherishes the KJV. Please note that this Elizabethan or 'Old English', not modern English. 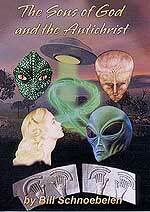 DVD discloses astounding news about Russia's super-secret weapons which will easily defeat America. 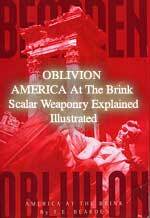 This weapons system is called "Scalar Weaponry" and possesses the capability to knock out anything on the land, under the sea, on the sea, or in the air. 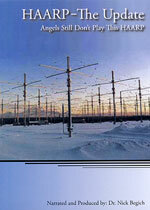 This "energetics" weapons system will render all conventional weapons of war totally obsolete. "Terrorist Messiah in Washington D.C.!" 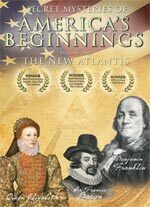 A new documentary series on the foundations of America unfolds a shocking theory that Washington D.C. may have been designed by Freemasons to represent the terrorist “Messiah” of Islam. Many are aware that Iran’s President, Mahmoud Ahmadinejad has dedicated his administration to bringing forth the Islamic Messiah, known as the Imam Mahdi. But what many are unaware of is that the uppermost level of Freemasonry (Shriner Freemasonry) is completely given over to the religion of Islam. While Shriner’s are best known for their red fez’s, wild parties and raising money for children’s hospitals, they are also fully dedicated to the worship of Allah, the god of the Koran. Many researchers argue that the Islamic influence dates back to the Crusades, when the Knights Templar interacted with the Muslim sects in the holy land. Centuries later, the result would be an amalgam of Christian, Muslim and Jewish beliefs – which form the backbone of modern Masonry. But at the upper levels, Islam seems to take dominance. Every major religion awaits a Savior. The Jews await the Messiah, Christians await the second coming of Jesus Christ, the Buddhists await their Maitreya, the Hindus await the return of Krishna. Meanwhile, Muslims are not only waiting – but actively pursuing – the coming forth of the Imam Mahdi. Along with Ahmadinejad’s administration, the Mahdi Army created by Muqtata al-Sadr is dedicated to this mysterious figure. The word “Mahdi” means “Guided One,” and Muslims believe that their Messiah, when he arrives, will guide all Islam into destroying both Jews and Christians from the face of the earth. But is this really the message of Washington D.C.’s architecture? It might sound a bit extreme, but after the overwhelming amount of evidence presented in these films, an American audience can only wonder. Islamic dominance of Shriner Masonry continues to raise the eyebrows of watchdogs who question the true interests of secret societies in American government. To learn more about this powerful series, buy both Volume 1, "The New Atlantis", and Volume 2, "Riddles In Stone: the Secret Architecture of Washington, D.C."
Because of popular demand, we are continuing to offer both Volumes 1 and 2 at a combined retail of only $39.88, instead of the combined regular retail of $59.98, a savings of $20.10! I. Persecution of Christians has just lurched forward to a new, dangerous level. Secular people are soon going to be seriously considering Christians to be such a threat to the rest of society that they need to be restrained and/or controlled. 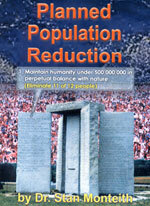 At this point, the persecution foretold in Revelation and Daniel will be imminent. In this vein, the House of Representatives has just passed an onerous "Hate Crimes" bill which could threaten the ability of every Christian and every ministry to speak the Biblical truth about homosexuality. Let us review the facts. "WASHINGTON — House Democrats ignored a White House veto threat on Thursday and narrowly passed a bill that would add gender and sexual orientation to the list of hate crimes punishable by federal law." During the Clinton Presidency, numerous attempts were made to pass such legislation, but they were stopped by a Republican majority in Congress. However, the new Democrat majority in both houses of Congress wasted no time passing this horrific legislation. Make no mistake, this bill threatens Christians and non-Christians alike, for it expands the Federal prosecutorial reach into state and local legal matters! One of the most successful obstacles to a federal dictatorship which our Founding Fathers wove into our system of government is the stipulation that the Federal Government had only certain powers, while all authority not specifically given the Feds was reserved for the individual states. This legislation allows Federal authorities to intervene in state and local matters, as this next segment amply demonstrates. "The floor debate took on a nasty tone before a 237-180 margin approved legislation that would increase federal law enforcement presence in local prosecutions involving bias-motivated attacks." Gay activists were ecstatic with the passage of this "Hate Crimes" bill! "This is an important vote of conscience, of a statement of what America is, a society that understands that we accept differences," said House Majority Leader Steny Hoyer, D-Md. Rep. Barney Frank, D-Mass., the only openly gay man in the House, presided over the chamber as the final vote was taken." Can you imagine this slap in the face? Rep. Barney Frank, D-Mass., was allowed to preside over the House chamber as the final vote was taken. The openly gay political activist group, Log Cabin Republicans, were also pleased. The fact of the matter is that homosexuals are already protected against violence by laws which protect any American citizen against violent acts. There is absolutely no need to pass a special protective act to protect homosexuals; therefore, all discerning citizens must understand that this bill is being passed in order to advance the Illuminati cause on at least two major fronts. 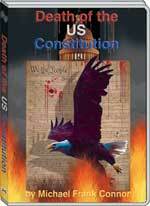 1) To allow Federal take-over of state and local legal matters. President Clinton was the first Chief Executive to launch a systematic effort to "Federalize" all state and local police forces. This bill will provide yet another avenue for the Federal Government to intrude into the affairs of the state and local governments, a pre-requisite if the Federal Government is to become the dictatorship it is planned to be. 2) To allow the Federal Government to come after genuine Christians whose belief and statements about homosexuality is based upon the Bible. We may not see this type of persecution to occur under a Bush Administration, which depends heavily upon Christian support; but, we could easily see such persecution under a Democrat Administration, which many pundits now are predicting for 2008. We have posted an excellent article on this subject, from Berit Kjos, and we encourage you to read it. Some opponents to this bill understand the Big Brother implications of this bill. "Rep. House Minority Leader John Boehner and other opponents warned that while intentions may have been good, the legislation would criminalize political speech and personal thoughts." " 'This unconstitutional bill would effectively give the federal government authority to punish American citizens for 'thought crimes' — a concept that has Big Brother written all over it. There are already state and local laws on the books that punish violent crime against any and all Americans," said Boehner, R-Ohio." A similar bill is winding its way through the Senate. If you have not yet contacted your senator on this issue, now is the time to do so. You can write your Senator by clicking here. II. As the American-sponsored regional meeting at the Egyptian resort of Sharm al-Sheikh gets underway, discerning people must wonder if the REAL purpose of this meeting is to set the stage for an eventual American force withdrawal! In other words, is this the predicted American surrender conference? "... the US needs better relations with Iran at least as much as, and probably more than, Tehran needs a thaw with Washington." While many people might find this assertion to border on the ridiculous, given the fact that President Bush has been carrying on a Public Relations war with Iran for four long years, this next segment might prove to be enlightening. "The result is a complex diplomatic dance in which the US shuffles around offering small come-ons to Tehran through intermediaries, while loudly accusing it of heinous crimes, such as supplying money and technology to Islamic militants and trying to develop a nuclear weapon. When Iran equivocates and then rejects the offers, Washington turns round and blames it for being difficult." Cutting Edge has been saying for many years that you simply cannot trust the public rhetoric coming out of Washington, D.C. Just weeks after the 9/11 attacks, we posted an article based upon my experience in U.S. Army Intelligence, in which I warned people that they could not trust the public statements of their leaders, whether the statement came from civilian or military leaders. We posted an article which has stood the test of time. If you have not read this expose', please take a few moments now to do so. The title is, "Breaking Out of the Mental Box -- Learning To Think In The Opposite Direction of Public Rhetoric To Find The Truth", NEWS1558). This news segment, above, is perfect proof that you really cannot trust any statement coming from any source in Washington! In this case, President Bush needs the cooperation of the Iranians badly if he is ever hopes to get out of Iraq; and yet, to cover his tracks, he and his Pentagon are constantly shouting to the world how dangerous the supposed Iranian nuclear program is to the peace to the world and are constantly threatening military action. All of this false rhetoric, of course, simply keeps the price of oil at the high level the Illuminati wants, and keeps fulfilling Jesus' End of the Age prophecy that the coming of Antichrist would be heralded by many signs, among which are "Rumors of War". "And here is the nub of the US problem. Washington desperately needs the co-operation of Syria and Iran if it is to have a chance of extracting itself from Iraq with even a shred of dignity. Yet it refuses to countenance any serious concession on Iran's nuclear programme. In trying to keep the two issues separate, Washington risks putting itself in the absurd situation of begging Iran to help it out in Iraq, while threatening military force against its nuclear installations." To solve this problem without appearing to have the problem in the first place, Washington proposed this regional Middle East peace conference at Sharm al-Sheikh, where Iraq's neighbors and her friends could meet to discuss how to "stabilize" the very country which American arms destabilized in the first place! Let us now go to a very interesting article from a Jewish standpoint, as they tie America's predicament into Israel's struggles with Hizbullah. I find it amazing how clear some matters can be to a seasoned foreign observer. "In Sharm e-Sheikh, Rice is clearly looking for a way to forge a US surrender of Iraq to its nemeses Iran and Syria ... Rice's embrace of surrender extends to her position on Iran's nuclear weapons program. Rice and her State Department colleagues oppose both striking Iran's nuclear installations and providing assistance to regime opponents inside Iran who seek to overthrow the regime ..."
The language of this segment seems to say that Secretary of State Rice and her State Department are at policy odds with the more Hawkish White House and The Pentagon. Of course, since Rice is a member of the CFR, we know that she is not really at odds with either President Bush or the generals at The Pentagon. What we have here is two sides of the same coin. The State Department has the responsibility to show a softer, more concilatory, side of the Iran-Iraq issue than either the White House or The Pentagon. This Public Relations angle has been taken before, by other Administrations, so it is nothing new. But, the undiscerning citizen is always taken in by this type of un-ending public rhetoric. "Rice's shepherding of the US to strategic defeat against the jihadists in the Middle East extends to Africa as well ... The Second Lebanon War placed the true nature of the global jihad in stark relief. By waging a proxy war with Israel through Hizbullah and the Palestinians simultaneously, Iran and Syria demonstrated clearly that the war against Israel is not a unique war, but rather a key battleground of the global jihad whose forces are fighting the US and its allies in Iraq, Afghanistan and throughout the world." My, my, this scenario surely sounds like Iran's original declaration of war against the American invasion of Iraq in March, 2003. In this declaration, Iran stated that it intended to fight the American invasion by "lighting many fires" throughout the region. We detail this Iranian plan in NEWS1910, and encourage you to read it in its entirety. As you will abruptly realize, Iran has successfully stoked the flames of war in every country except Azerbaijan. Iran has controlled the situation in Iraq, successfully balancing the Americans against the Sunnis, while capturing the elected government of Iraq for the Shi'ites. Iran has similarly caused the Taliban to spring back into life in Afghanistan, to the point where a Taliban victory in the next few years is a distinct possibility. Iran has also equipped Hizbullah in Lebanon, to the point where this once ragtag outfit stood toe-to-toe with the vaunted IDF, to the point where they could claim victory. Hamas has also received monetary support from Iran, as well as significant supplies of weaponry. Iran has accomplished what she desired to do against America and Israel. Now, with the American war effort on the ropes, she is now in position of strength against President Bush. In this light, one can only stand amazed at this peace and stabilization conference in Sharm e-Sheikh, wondering if it can be true that this is the conference in which America quietly surrenders in Iraq, thus setting the stage for ultimate withdrawal. Of course, the public rhetoric will say nothing of any negotiated American withdrawal, but will portray the two sides at extreme odds. You could very well also see reports that Iran and America really hated each other during the conference, that the conference was a complete failure. Only years from now, if the Americans do retreat out of Iraq, will historians be able to look back at this conference and realize the agreements which were reached in private. 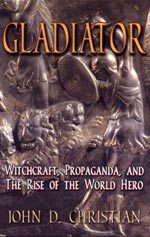 Remember, the major Illuminati objective in this war is to take America off her perch as the only remaining Superpower. After all, if America is to meld into the coming Global Government, she cannot think of herself as a "King Kong" nation, for King Kong does not take orders from anyone. III. Last week, President Bush publicly vetoed a Democratic spending bill which supposedly set a withdrawal date from Iraq. The President sounded the oft-used propaganda line that we cannot cut off funds from our soldiers in the field. However, closer examination of this Democrat bill reveals two huge loopholes! First, let us examine the official story about this veto. "President Bush is expected today to veto a Congressional Bill calling for the withdrawal of US troops from Iraq by October 1 ... This will be only the second time he has used his veto powers and will leaves him without the $100 billion needed to carry on with the war ..."
But, now, let us examine this matter more closely, and discover one rather large loophole. Notice, again, the huge discrepancy between public rhetoric and private policy. We noted this type of discrepancy, above, regarding the conference at Sharm al-Sheikh. We see that Congressional Democrats are playing the same deceptive game. "The Democratic leadership in the US Congress is once again gearing up for a great sellout on the Iraq war. While the wrangling over the US$124 billion Iraq supplemental spending bill is being headlined in the media as a 'showdown' or 'war' with the White House, it is hardly that. In plain terms, despite the impassioned sentiments of the anti-war electorate that brought the Democrats to power last November, the congressional leadership has made clear its intention to keep funding the Iraq occupation, even though Senator Harry Reid has declared that 'this war is lost'." Did you notice the similar discrepancy between public rhetoric and private policy? Let us focus on that particular segment, from our featured article. Therefore, the Democrats are really operating on the same page as President Bush as far as this terrible war is concerned! While pretending to be the "loyal opposition", the Democrats are really doing their part secretly to ensure that the Illuminati Plan for Iraq and the Middle East is carried out to the fullest planned extreme. However, there is one part to this entire Iraq War about which very few people are talking, and that is the "Shadow Army" referred to in the title of our article, above. "While all of this is troubling, there is another disturbing fact that speaks volumes about the Democrats' lack of insight into the nature of this unpopular war - and most Americans will know next to nothing about it. Even if the president didn't intend to veto their legislation, the Democrats' plan does almost nothing to address the second-largest force in Iraq - and it's not the British military. It's the estimated 126,000 private military 'contractors' who will stay put there as long as Congress continues funding the war." Unless the Iraq Insurgency commits an atrocity against these contractors, the press of the world ignores their presence, and that is a huge mistake. These contractors usually are former members of an elite force, usually American, who signed on with a private contracting firm for duty in Iraq after getting out of the Army. These are highly trained troops, and equally highly paid. Their numbers are almost the same as the official total of active-duty American troops. Even if Congress "forces" President Bush to withdraw American forces, it is very likely that these contractors will not be withdrawn. This reality means that fighting could continue for the indefinite future! And, if these realities were not enough to cause you to lose sleep, Congress is even playing games with the actual withdrawal of American troops. Listen to this next article. "WASHINGTON - The language on a timetable for US withdrawal from Iraq voted out of the House and Senate conference committee this week contains large loopholes that would apparently allow US troops to continue carrying out military operations in Iraq's Sunni heartland indefinitely. The plan, coming from the Democratic majority in Congress, makes an exemption from a 180-day timetable for completion of 'redeployment' of US troops from Iraq to allow 'targeted special actions limited in duration and scope to killing or capturing members of al-Qaeda and other terrorist organizations of global reach'." Can you believe this huge loophole? Why, it is big enough to drive a Mack Truck through! In plain English, American troops could remain in Iraq indefinitely as long as they are pursuing members of that nasty global terrorist group, "al-Qaeda". And, if there is no one to be found in Iraq of that persuasion, then American troops can pursue anybody, claiming they were member of " 'other terrorist organizations of global reach'." This is sheer nonsense, of course, but it does reveal -- again -- that the Democrats in Congress are operating off the same deceptive page as the Republicans in the Bush White House! IV. Just days after a retired Colonel lambasted the Pentagon's leadership skills in the Iraq War, two American generals sounded a similar theme. 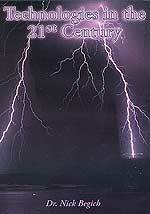 "For the second time in a generation, the United States faces the prospect of defeat at the hands of an insurgency. In April 1975, the U.S. fled the Republic of Vietnam, abandoning our allies to their fate at the hands of North Vietnamese communists. In 2007, Iraq's grave and deteriorating condition offers diminishing hope for an American victory and portends risk of an even wider and more destructive regional war." Cutting Edge has been stating for four years that the end result would be exactly as described here: "diminishing hope for an American victory and portends risk of an even wider and more destructive regional war." 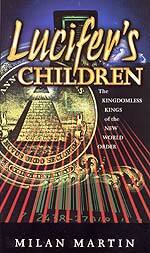 We based our original view on Biblical prophecy and a thorough knowledge of the Illuminati Plan. Now, Lt. Col. Paul Yingling is saying the same thing, from his unique perspective, and from the vantage point of speaking four years afte the original invasion. Who is Lt. Col. Paul Yingling? Quoting from this article, we read, "Army Lt. Col. Paul Yingling is deputy commander, 3rd Armored Calvary Regiment. He has served two tours in Iraq, another in Bosnia and a fourth in Operation Desert Storm. He holds a master's degree in political science from the University of Chicago." What is his bottom line assessment? "America's generals have repeated the mistakes of Vietnam in Iraq ... America's general officer corps underestimated the strength of the enemy, overestimated the capabilities of Iraq's government and security forces and failed to provide Congress with an accurate assessment of security conditions in Iraq. Moreover, America's generals have not explained clearly the larger strategic risks. The most fundamental military miscalculation in Iraq has been the failure to commit sufficient forces to provide security to Iraq's population." Four years ago, high-ranking officers in The Pentagon were warning that the Army needed at least 360,000 soldiers to win the war and to stabilize the country. Defense Secretary Rumsfeld initially sent 145,000 plus about 100,000 contractors. 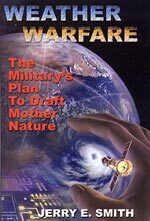 Therefore, The Pentagon must have been planning to fail at this war -- just as we have been warning! Now, let us hear from two generals on this same subject. "Washington, DC: Today, two retired Generals who led troops in Iraq expressed outrage at the President's veto of the U.S. Troop Readiness, Veterans' Health, and Iraq Accountability Act." "The President vetoed our troops and the American people. His stubborn commitment to a failed strategy in Iraq is incomprehensible. He committed our great military to a failed strategy in violation of basic principles of war ... We deserve more from our commander-in-chief and his administration. --Maj. Gen. John Batiste, USA, Ret." "This administration and the previously Republican controlled legislature have been the most caustic agents against America's Armed Forces in memory. Less than a year ago, the Republicans imposed great hardship on the Army and Marine Corps by their failure to pass a necessary funding language. This time, the President of the United States is holding our Soldiers hostage to his ego. More than ever apparent, only the Army and the Marine Corps are at war - alone, without their President's support." --Maj. Gen. Paul Eaton, USA, Ret. These generals are protesting President Bush's veto of the massive $100 billion war funding bill, because it delays funds from getting to the soldiers in the field. We think these generals do not have a whole lot to worry about, since Democrat leadership in Congress have already gone on record that they do not intend to withhold funds from soldiers in harm's way. But, this dissent from the ranks of the highly placed officer corps is really revealing, because it demonstrates that top military leadership is really upset with the way the war has unfolded. Perhaps this unhappiness is the reason that several top officers in The Pentagon threatened to resign if the President ordered an attack on Iran. V. Islamic leadership must be laughing greatly these days, as Israel is now constantly held up in the world's media as a nation led by incompetent civilian and military leaders, whose people has lost their will to fight. We have been warning since the end of the Lebanon War in late Summer, 2006, that Israeli leaders seemed to have decided to deliberately not win the war. This would allow Hizbullah to claim victory and cause Arab leaders to conclude that Israel was uniquely vulnerable right now. When the Winograd Report on the Lebanon War was published on April 30, its conclusions were so starkly anti-Israel that Islamic enemies have to literally be smacking their lips in anticipation of annihilating those pesky Jews. Cutting Edge posted an article on this subject this past week. Have you read it? NEWS2205, "War Signs Rise To Unprecedented Heights Throughout Middle East: Islamic Strategists Now Believe Their Armies Can Defeat The West, Thus Ensuring World War 3"
Let us now review some current articles which support this dramatic premise. "... the publication of a devastating report that lambastes Prime Minister Ehud Olmert for outright incompetence in his conduct of the war last summer against the Lebanese militia, Hezbollah, and berates him for 'a serious failure in exercising judgment, responsibility and prudence'. The five-member Winograd Commission, led by a retired judge, Eliyahu Winograd, did not confine its criticism to a rash prime minister, a bungling defense minister with no knowledge of military matters, and a now departed chief of staff of flawed 'professionalism, responsibility and judgment." When a nation has enemies as radical as Israel faces on a daily basis, it is a very serious matter for a respected Jewish expert -- retired Judge Winograd -- to say that the Prime Minister, the Defense Minister, and the IDF Chief of Staff simply were incompetent in the way they fought the Lebanon War of 2006. This kind of report can cause the Islamic enemy to conclude that they have a unique "window of opportunity" to destroy Israel! Right on cue, Syria began moving front-line troops to the border with Lebanon and Israel, in what might be preparations for an all-out assault. However bad the Winograd report was on the leadership, it had even harsher criticism of the average Jewish citizen of Israel. "... it extended its damning judgment to Israel itself, sketching a portrait of a society grown complacent, unprepared for wars, ready only for "low intensity asymmetrical conflicts," deluded into thinking it possesses sufficient deterrents, and uncoordinated at the highest levels of government." Can you believe this kind of criticism being made public? When you are daily facing a rabid enemy like Israel is facing, this kind of criticism can start an all-out war. We believe this is precisely the goal of the top leadership in Israel right now -- to convince Islamic leaders that their armies can defeat Israel, and so start this war. The Arab press jumped all over this possibility. "Palestinian Authority officials on Tuesday expressed fear that embattled Prime Minister Ehud Olmert would order a massive military operation in the Gaza Strip to divert attention from the harsh findings of the Winograd Report on last summer's war in Lebanon." 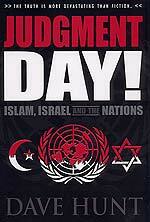 Notice now how harshly Palestinians are now judging Israel. "For many Palestinians and Arabs, the results of the report are an indication of Israel's 'bankruptcy on all levels, especially the security and political level'. Political commentators throughout the Arab world said the report was also a sign of Israel's military weakness and hailed Hizbullah for defeating the 'invincible' IDF." This is the kind of miscalculation which starts all-out wars. And, Cutting Edge firmly believes that Israel is deliberately fostering this notion so that the Arabs will launch an all-out war, thus providing Israel with the excuse to pull out her nearly omnipotent Scalar Weaponry on an unsuspecting Arab enemy! VI. President Bush's financial ability to wage war is coming under severe pressure, as the American Dollar continues to plummet in value against other currencies. "NEW YORK: The United States may have no military equals, but the challenges to its financial power have become impossible to ignore. A stark reminder came on Friday when the weakening dollar slumped to a record low against its main rival, the euro, after the U.S. economy recorded its fourth consecutive quarter of below-trend growth. The euro hit a record high of $1.3680." Two years ago, Russian President Putin noted that the only reason President Bush could launch his many wars around the world -- especially in Afghanistan and Iraq -- was because the nations of the world bought and sold their crude oil in American Dollars. Putin felt that America's "aggression" could be stopped dead in its tracks if oil trading were to change significantly to the Euro or the Japanese Yen, or perhaps to a basket of currencies. In this vein, I find it interesting that, at the same time that American threats against Iran have multiplied, Iranian oil markets are gradually shifting to other currencies in her global markets. Other nations have already made this change, including some "moderate" Arab states which are considered America's friends and allies! Let us now return to our featured article for more information about the Dollar's slide against other currencies. "The strength of the dollar is more than just a matter of bragging rights. Experts say the consequences of its long-term decline could have deep significance - for average Americans and for the country's position as an unrivaled global power ... As a net debtor, the United States must attract some $3 billion every working day to finance a gaping current account deficit that in 2006 amounted to 6.5 percent of gross domestic product. "Economic rivals like China and Japan, on the other hand, boast massive surpluses. Since Americans also spend more than they save, the money to cover the U.S. deficit must come from foreign lenders like central banks. China, which holds more than $1 trillion in foreign currency reserves, is one of the biggest creditors." "... oil exporters could find it easier to start pricing crude in euros, Rogers said, adding to the financial burden on the United States, the world's biggest consumer of oil." While this downward trend will take years to play out, the trend has begun. Congress may find that it simply cannot continue funding wars that are being lost. At that point, a genuine movement for a return of our weary soldiers may take root. VII. The path toward the eventual establishment of NAFTA (North American Free Trade Association) took a rapid step upward yesterday, with a shocking announcement concerning illegal immigrants. Remember, Cutting Edge has been warning for some time that illegal immigrants were one day going to be made legal citizens. In March, 2006, we posted an article (NEWS2132), which warned that the United States Government was planning to legalize illegals. Read this one-year-old Headline News article and weep! Now, let us review our current news article. "LOS ANGELES (AP) - Demonstrators demanding a path to citizenship for an estimated 12 million illegal immigrants hope that nationwide marches will spur Congress to act before the looming presidential primaries take over the political landscape." "... demanding a path to citizenship for an estimated 12 million illegal immigrants ..."
What did our Headline News article report last March, 2006? "Bush is pushing for a guest worker program that would allow foreigners to stay temporarily in low-paying jobs, which Fox says is a good first step toward some form of legal status for all illegal Mexicans." The "dirty little secret" is that Mexicans are being gradually moved toward full NAFTA citizenship, and will enjoy the same status as American citizens. One day soon, we will wake up to the news that all American, Mexican, and Canadian citizens are now NAFTA citizens. Now you know why critics claimed that President Clinton did not really have a "border policy" and why other critics are now saying the same thing about President Bush. The reality is that both Presidents Clinton and Bush are following a very detailed "border policy", but it was one which could not, as yet, be shared with the American people. The "border policy" of Presidents Clinton and Bush, Jr., is that Mexican, American, and Canadian people are one day destined to be designated, "NAFTA Citizens". This story represents just one solid step in that direction. VIII. When Time Magazine deleted President Bush from its 2007 list of the most influential 100 people in the world, that was simply the latest action in a lot of ways in which committed Illuminists have discredited the President since early, 2004. If you have not read our original premise on this issue of the deliberate discrediting of President Bush by men who are as equally committed as he is to fulfilling the Illuminati Plan, please take a few moments to read our NEWS1929, "Campaign To Discredit President Bush Seems To Be Moving Into Higher Gear". Now, let us review this current action to discredit Mr. Bush. "NEW YORK (AP) - Heartthrob Leonardo DiCaprio and envelope-pushers Rosie O'Donnell and Sacha Baron Cohen are among the entertainment newsmakers on Time magazine's list of 100 people who shape the world. The list of 100 most influential, on newsstands Friday, also includes Queen Elizabeth II, presidential hopefuls Hillary Clinton and Barack Obama, YouTube founders Steve Chen and Chad Hurley, director Martin Scorsese and model Kate Moss." "It does not include President Bush." We have been keeping track of all the instances where an Illuminist as equally committed to fulfillment of the global Plan as is President Bush, suddenly attacked the President in public. Time Magazine is one of the Illuminati flagship publications; therefore, when her editors deliberately leave him off the list of the 100 most influential people in the world, that is a definite slap in the face. 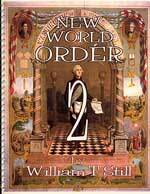 Let us now examine the two instances where President Bush MUST be discredited if the global plan called the New World Order is to be finally established. As I have long stated, the end result of this war in Iraq has got to be seen as a disaster. President Bush ordered the attack on Iraq, exercising his authority as a National Sovereign, ignoring the collective will of the United Nations. Since the Illuminati staged World Wars I and II for the express purpose of eliminating National Sovereignty in favor of the Global Sovereignty of the UN, Bush's invasion had to come to naught! We certainly are seeing the outworking of that part of the plan. We shall have to wait to see if this road leads to impeachment. For this to happen, the President must suffer some grievous loss which can be attributed to his incompetent leadership -- much as is now being charged against Israeli Prime Minister Olmert. IX. Late breaking news reveals that Prince Harry is most definitely being shipped to Iraq with his elite unit. "Much of the world press was wild with speculation about Prince Harry this week, and what it means now that the third in line to the British throne is being shipped off to a combat zone in Iraq. The other night I watched for 45 minutes as talking heads on CNN debated the situation. They discussed every possibility ... British royals have been going off to fight the good fight since long before the Crusades. If there were still dragons, he'd probably be itching to slay a few of those." "There are drawbacks, of course. If Harry were to be captured or beheaded (one of the threats), that's obviously a disaster. Even if he were just injured, it would be problematic." Of course, that is precisely the problem, for a brutal Royal death in Basra, Iraq, could very well fulfill the prediction by Illuminati author, H.G. Wells, in 1933, as to how World War 3 would begin. This prediction might just come true with Prince Harry. We can see many other planned events in Israel and throughout the world coming to a similar climax, so we need to keep our eyes on Jesus and attempt to win as many souls as we can before chaos and war envelopes the world. 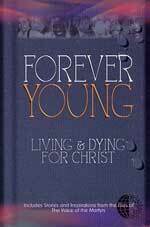 "Jesus Is Calling All His True Believers To Be "Uncompromisinly" Righteous At This Most Wicked Time In World History! Are You Listening?" Once you understand the true meaning -- and strength -- in the original Hebrew language concerning the type of "righteousness" God demands of His followers, your life might change forever! "War Signs Rise To Unprecedented Heights Throughout Middle East: Islamic Strategists Now Believe Their Armies Can Defeat The West, Thus Ensuring World War 3"
Israel lost the Lebanon War to Hizbullah, and America is losing the war in Iraq to the Insurgency. 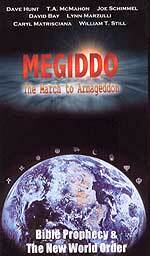 Consequently, expectations for all-out war in the entire Middle East are at an all-time high! How great the difference between Moses and Jesus! When the prophet of Horeb had been forty days upon the mountain, he underwent a kind of transfiguration, so that his countenance shone with exceeding brightness, and he put a veil over his face, for the people could not endure to look upon his glory. Not so our Saviour. He had been transfigured with a greater glory than that of Moses, and yet, it is not written that the people were blinded by the blaze of His countenance, but rather they were amazed, and running to Him they saluted Him. The glory of the law repels, but the greater glory of Jesus attracts. Though Jesus is holy and just, yet blended with His purity there is so much of truth and grace, that sinners run to Him amazed at His goodness, fascinated by His love; they salute Him, become His disciples, and take Him to be their Lord and Master. 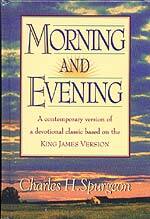 Reader, it may be that just now you are blinded by the dazzling brightness of the law of God. You feel its claims on your conscience, but you cannot keep it in your life. Not that you find fault with the law, on the contrary, it commands your profoundest esteem, still you are in nowise drawn by it to God; you are rather hardened in heart, and are verging towards desperation. Ah, poor heart! turn thine eye from Moses, with all his repelling splendour, and look to Jesus, resplendent with milder glories. Behold His flowing wounds and thorn-crowned head! He is the Son of God, and therein He is greater than Moses, but He is the Lord of love, and therein more tender than the lawgiver. He bore the wrath of God, and in His death revealed more of God's justice than Sinai on a blaze, but that justice is now vindicated, and henceforth it is the guardian of believers in Jesus. 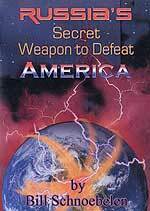 Cutting Edge has been warning for nearly 20 years that American leaders are taking this beloved country down the same path toward dictatorship as Adolf Hitler took Germany and Austria. The same exact path! 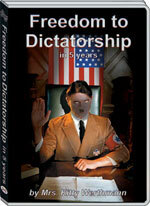 Now, this DVD details exactly how Hitler accomplished this task, so you can see how America is following the same path. 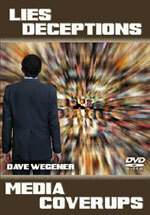 This DVD is shocking and startling and will shake you out of your Comfort Zone! In the Book of Revelation, the number of people killed by God's judgments equals 66%; the Illuminati has precisely this same figure in mind! 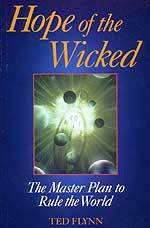 God many times uses wicked man to deliver His judgment, and this End of the Age period is no exception. God has allowed scientists working for the Illuminati to unlock the secrets of death mentioned in this video, so His prophecies could be fulfilled. Research is also going forward to make human DNA into a viral substance so humans can be implanted through VACCINATIONS!! 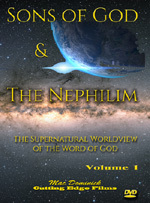 Watch and learn why the Nephilim are back! What are demons, aliens and UFOs and what do they have to do with the days of Noah and the Nephilim spoken of in Genesis that were on the "Earth in those days and thereafter"? 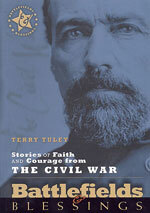 A rare devotional book that opens a rare treasure chest of intimate thoughts and feelings illustrated from the private letters and diaries of both men and women of faith during the Civil War period. The courage and faith examples of these “soldiers of Christ” will inspire both the mind and heart of every reader who desires to have a closer walk with God. 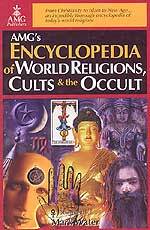 Designed to be of maximum assistance to those who may know little about the religions and sects that span the globe. 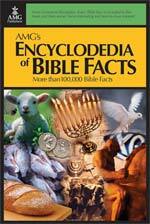 816 pages, a great value for the price! 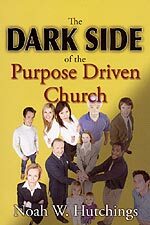 Dr. Hutchings sees a very dark, sinister side -- a menace so fatal it literally brings Spiritual Death to all who embrace this type of church.